Our warehouse is located in the Netherlands (3316 GZ Dordrecht). The modern logistics center ships packages worldwide every day. After your package has been packed, you will immediately receive the tracking number for parcel tracking by e-mail. 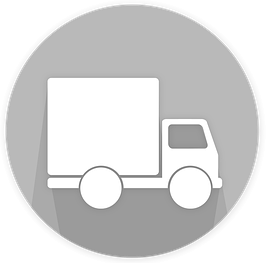 Delivery within the EU usually takes 3 to 7 days, Netherlands and Belgium next day. Depending on package weight and destination country, our shipping service provider QLS distributes the parcels to the regional delivery service (such as: DHL, Deutsche Post, and BPost).